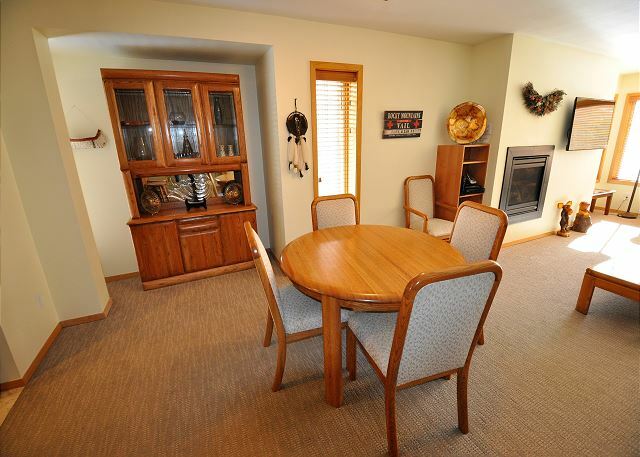 Spacious 2 Bedroom Condo #201 with Spectacular Views & Underground Parking. 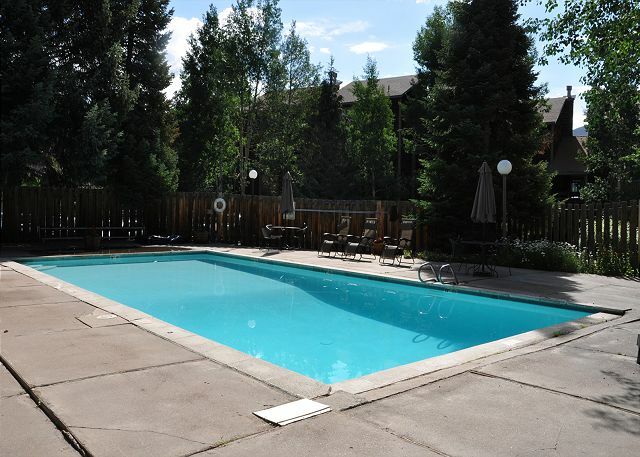 Property Video Managed by Gore Creek Properties, this is a lovely gold rated condo in Sandstone, only 2 miles from Vail village and right across from Lionshead. The condo was remodeled recently extending the living room out where there was once a deck! 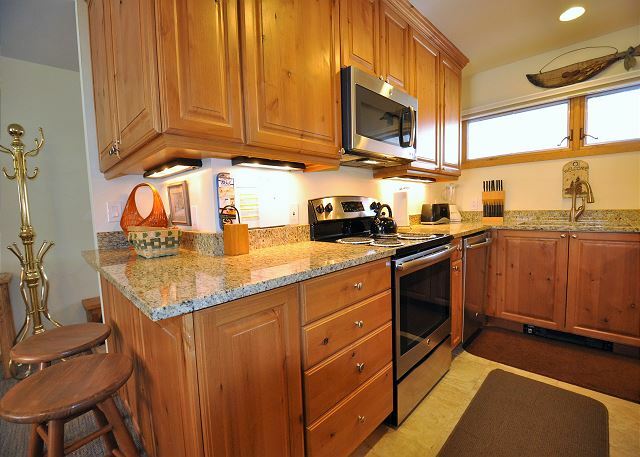 The kitchen has been completely remodeled too with beautiful cabinets and granite counters and new carpet throughout. 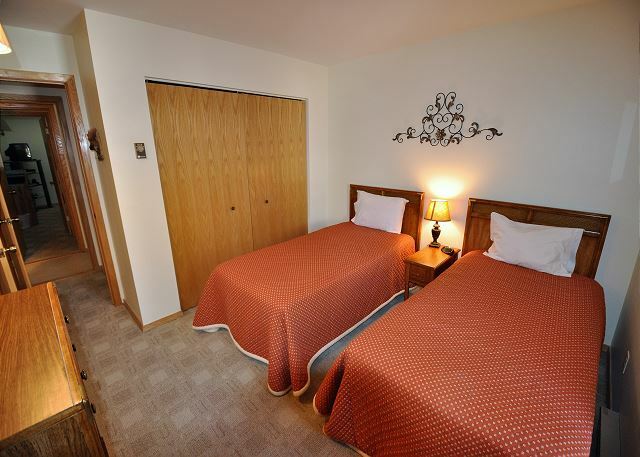 The condo has 2 bedrooms, 2 bathrooms and can accommodate up to 6 people. It has 1500 square feet of living space and a wood burning fireplace. Wood will be provided in the winter. The free Vail village bus stop is 20 yards from the complex, and it is a short 15 minute walk to Lionshead. There is underground parking here so no need to clean your car in the morning! This property does not allow any pets and is NON SMOKING. We have enjoyed Vail for many years. We came out this Christmas season for a special family occasion. Snowfox 201 was an excellent place to stay. 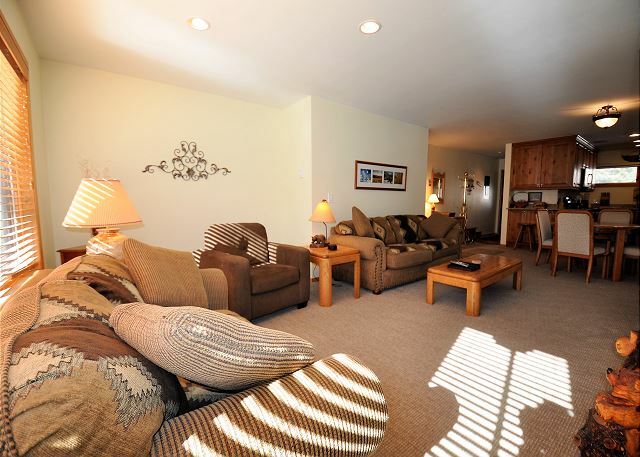 Great location; close to Lionshead and Vail Village. Easy transportation back and forth. Loved having a parking garage space so that I did not have to scrape snow. Also, the twin beds in one of the rooms was perfect for my son and his friend to comfortably share a room. 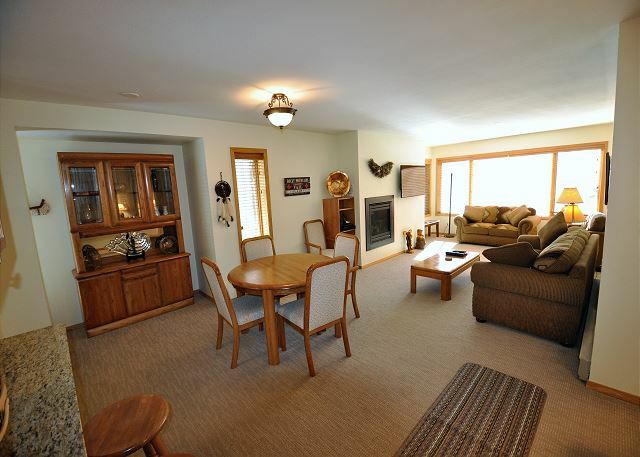 The large living room/dinning room and well equipped kitchen offered great relaxation after the slopes. Service was terrific as well. Dishwasher did not drain the first night and it was immediately fixed the next day. Truly appreciate that attention. Will stay there again. Snowfox 201 was a vey nice place to stay in vail. We were able to make very nice meals for ourselves but with the bus just steps away we could also easily go into the village to get excellent food and shopping experiences. It slept 4 excellently and was roomy and well appointed. The chairs and sofas were nice for lounging, reading and the odd game on TV with the kids. Everything was spotless when we arrived. While it did not snow when we were there the covered parking could be nice most weeks in the winter. This is my 2nd year staying at Snowfox. The location is very convenient to Lionshead Village, without having to pay the in-village prices. 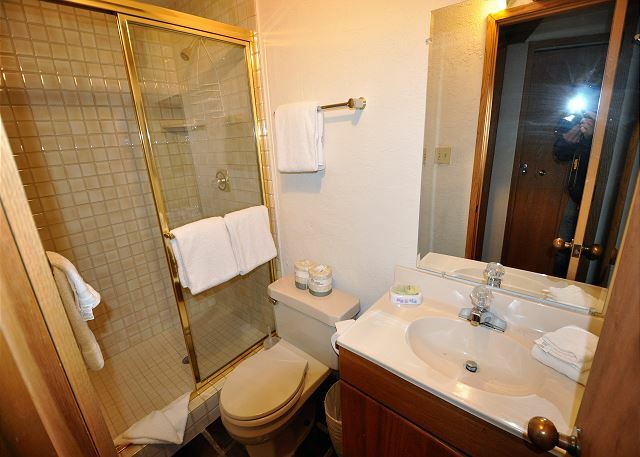 The condo is spacious and well-equipped. We cooked our own meals in the full kitchen, and the washer/dryer made washing ski clothes a breeze. Plenty of room for 5 guests. Covered parking was a plus. The only downside was the draftiness in the kitchen on the very cold mornings. Highly recommend as a reasonably priced alternative to the vail/lionshead properties. just a couple of mins from lions head and vail village. Perfect for the quick trip. No problem with rental process, only that property office for key pick-up and drop off was a bit far away, but very quick. The property was as advertised and served two of us well for a short ski trip. Underground parking and shuttle stop right across the street were nice. 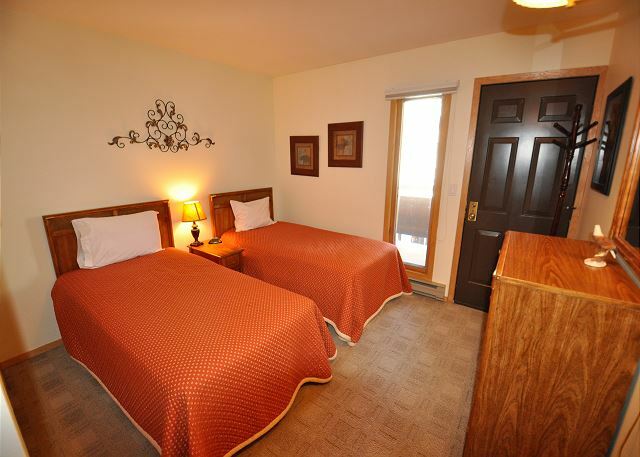 Plenty of space in common areas and two bedrooms and two baths made it much better than sharing a hotel room. While some aspects of the condo showed their age, it was very comfortable for the price. It would have been nice to have some kleenex and a humidifier available, but all the other basics were covered. It also seemed odd to pay a cleaning fee, but still have to take the trash to the dumpster and run the dishwasher. 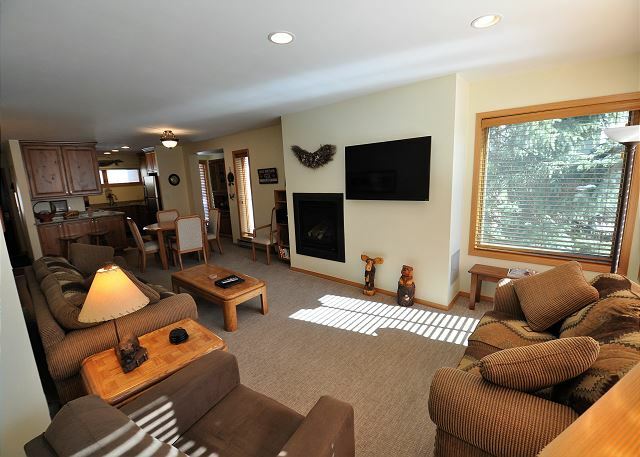 Overall, it was a good experience and I'd recommend the property to anyone looking for an affordable place to stay with easy access to Vail skiing and other activities.